It’s not often I ride after dark but for the last month or so I have been riding the roads of rural Kansas just before the sun has set completely. For all of those obvious reasons that riding at this hour presents, it is kind of nice to roll down the road with my headlight bouncing of the tarmac as my eyes dance side-to-side looking for those pesky critters that also enjoy coming out at night. Keeping my speed a little below the posted limit on one particular night, I was soon passed by a car. This isn’t a bad thing as I don’t mind a vehicle running interference for me when I’m unsure if I will be greeted by one of nature’s finest. As I followed along behind my new best friend, I allowed myself to relax a little and let myself look around at the clouds as the moonlight reflected off the edges. A beautiful night for sure, and a guy could easily get used o this. A couple of miles later I noticed the car in front of me tap his brakes. His brake lights caught my attention and I immediately knew based on my familiarity of the road, he was braking for a deer. But this is what I find most interesting about the driver in front of me; he not only tapped his brakes, but he did so multiple times letting me know that there was not only a deer in the road but a couple more waiting to cross. All of this information came through his brake lights. I thought to myself the person driving the car in front of me is surely a biker. I too have flashed my brake lights letting those behind me know of any dangers ahead. I’m sure this isn’t uncommon, but on this given night on this particular road the driver gave me a gift. Three more deer just stepping onto the road, no big hurry and not surprised of the motorcyclist coming up on them. I’m also known for my moves, but that is a completely different subject and besides it was the ’80’s. Whether or not my friend in the car actually rides motorcycles or not, it’s nice to know that someone still thinks about the safety of others on the road. I had plenty of time to slow down and be prepared for any sudden moves that deer are known for. I’m also known for my moves, but that is a completely different subject and besides it was the ’80’s. There are so many unwritten rules of the road. Some of these rules need to be written down and this is one of them. 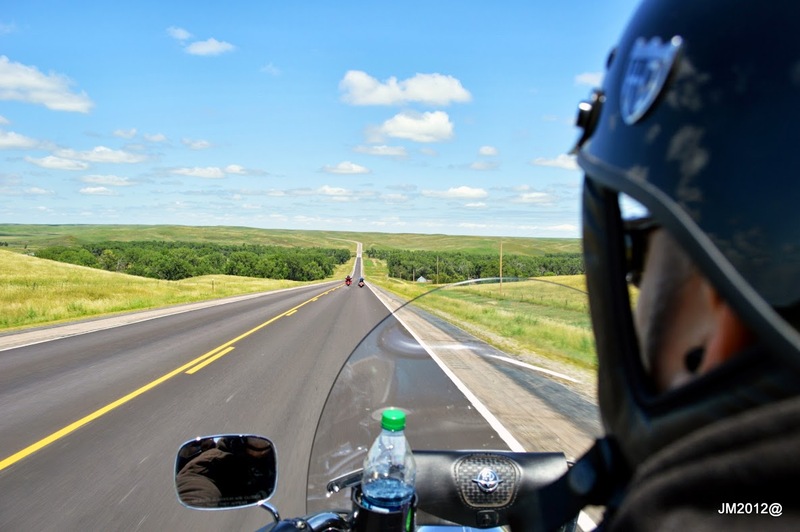 It’s the little things that can be so beneficial to the safety and well-being of others – especially motorcyclists. Nice post by jmadog on his blog. It’s the small things that make a difference isn’t it? Over here in Australia if your being overtaken by a truck (semi) you flash your high beam to let them know they are clear and can pull back in. Just about every truck driver will indicate left (we drive on the left) pull in then give you a right-left-right on the indicator as a thank you. Hi Jeff. It seems forever since I’ve visited. The evening ride sounds lovely … especially when you have friends on the road ahead of you. Yes it’s been a while! From what I see you are very busy! I hope at least you are getting out and enjoying a ride or two on your motorcycle. As for me? Rain rain and more rain…..